· - Islamic Shari’a law in Brunei supersedes civil law and it regulates all of life. · - Christians seeking opportunities for higher education must leave the country to access universities. 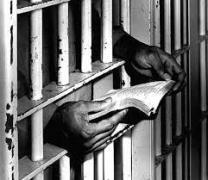 · - Local Christians have been arrested and detained for planning outreach to the population. · - Public celebration of Christmas forbidden. · - Christian based (expatriate) schools must give instruction in Islam to all students and are not allowed to teach Christianity. · - It is not possible to buy Bibles or Christian books in Brunei. · - Two recognized churches exist. Both are closely watched by police with spies in nearly every meeting. · - Brunei ranks 28 on the Open Doors annual World Watch List (WWL) of 50 nations where Christians suffer most for their faith. · - Christian converts are taken to isolated camps in order to be forced back to Islam. · - The Malaysian government calls the facilities "retreat centers". · - CBN News spoke to one Christian who wanted to remain anonymous, in fear he would be taken back to one of the "faith purification" facilities. This is what he said:"They were clearly angry and they wanted to kill me," he recalled. " They force you to recite Islamic prayers and the Koran, to do all the things you're suppose to do as a Muslim." · - Muslims who wish to convert from Islam face severe obstacles. · - It is very difficult for Muslims to change their religion legally. · - In 1999 the High Court ruled that secular courts have no jurisdiction to hear applications by Muslims to change religions. According to the ruling, the religious conversion of Muslims lies solely within the jurisdiction of Islamic Sharia courts. · - Protestant and Catholic believers subject to systematic persecution, torture, even beheading. Tell Congress to reject the TransPacific Partnership.